Updated Feb. 18, 2018 at 9:16 p.m.
A son called police after discovering the bodies of his parents Sunday inside their home in Vista, the San Diego County Sheriff’s Department said. The grisly discovery was made at 855 Warmlands Avenue at about 1 p.m., sheriff’s Lt. Rich Williams said. Deputies had responded to a possible shooting at that home, Williams said. The unnamed son, a man in his 30s, told authorities he lived at home with his parents. Homicide detectives were seeking a search warrant for the residence, Williams continued. However, investigators were not looking for any outstanding suspects. 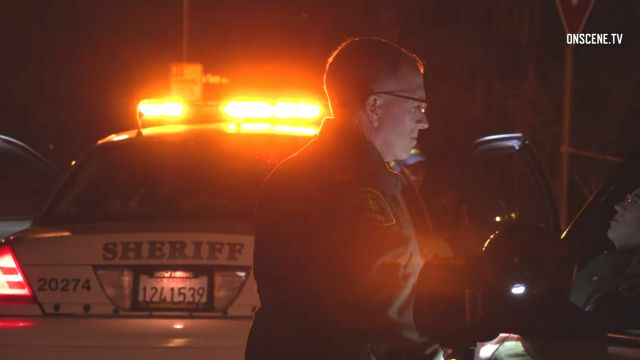 The son told deputies there was a gun in the house and at least one neighbor told authorities a gunshot was heard earlier in the day, the San Diego Union-Tribune reported. The San Diego County Medical Examiner will conduct an autopsy to determine the cause of death. The names of the victims were being withheld pending positive identification and family notification, Williams said.